Original Article: van Walsem MR, Howe EI, Frich JC, Andelic N. Assistive Technology for Cognition and Health-related Quality of Life in Huntington’s Disease. J Huntingtons Dis. 2016 Oct 1;5(3):261-270. Progressive development of cognitive disability is a hallmark of HD. Given the nature of cognitive impairment in HD, including reduced planning and organization skills, attention deficits and reduced psychomotor speed, there may be a benefit of ATCs for patients with HD, including devices that support structuring everyday life and memory. However, to date no research has investigated the use of ATC in HD patients. The aim of our study was to describe aspects of ATC, including ATC use, information, needs assessment, and training, in HD patients, and to explore the association between using ATC and health-related quality of life (HRQoL). 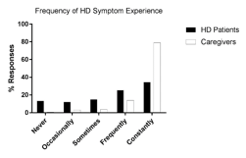 We used a cross-sectional population-based study design that included 84 HD patients who lived in south-eastern Norway, who had a clinical diagnosis of HD across the five disease stages. In addition to information regarding aspects of ATC, we collected socio-demographic and clinical data including disease-specific information. A general evaluation of cognitive impairment was also performed. We used the Unified Huntington’s Disease Rating Scale (UHDRS) Total Functional Capacity (TFC) scale as a standardized measure of functional ability. Overall HRQoL was assessed using the EQ-5D Visual Analogue Scale. In order to describe the aspects regarding ATC use and provision, we used descriptive statistical analyses, and we used multivariate regression analyses to explore the association between ATC use and HRQoL. Results of the descriptive analyses on ATC are presented in Table 1. We found that approximately one-third (36.9%) of the patients with HD used ATC. We also found that patients who used an ATC device were predominantly in stages I−III, with mild to moderate cognitive impairment. Regarding other aspects of ATC, less than half (44%) of patients had received information about ATC, less than one-third (32.1%) had undergone a needs assessment, and only one-fifth had received ATC training. Most of these patients were in stage III. Furthermore, TFC was identified to be the only variable that bore significant impact on HRQoL (β-value = -0.564; β 95% CI 1.47− 5.34; r2 = 0.142; p = 0.001) in our multivariate regression model, which explained 30% of the variance. Our findings indicate relatively infrequent ATC use, information provision, needs assessment and training, especially considering that the progressive development of cognitive disabilities for which specialized ATC devices exist is an inevitable symptom of HD. The lack of association between ATC use and HRQoL may reflect a lack of awareness and knowledge about ATC availability and provision among healthcare professionals. Further research into the potential benefits of ATCs in supporting cognitive disabilities and thereby positively affecting functional ability and HRQoL is warranted. Future studies should employ disease-specific measures of HRQoL that may be more sensitive to disease-specific aspects of HRQoL. ATC may prove to be a beneficial addition to the existing healthcare services for patients with HD. ATC: Assistive Technologies for Cognition/cognitive disabilities. Chi-squares were used to calculate overall group differences; * 1 missing in Stage V; **1 missing in Stage IV. Table from van Walsem MR, Howe EI, Frich JC, Andelic N. Assistive Technology for Cognition and Health-related Quality of Life in Huntington’s Disease. J Huntingtons Dis. 2016 Oct 1;5(3):261-270. Published under a Creative Commons Attribution Non-Commercial (CC BY-NC 4.0) License. 1Scherer MJ, Hart T, Kirsch N, Schulthesis M. Assistive Technologies for Cognitive Disabilities. Crit Rev Phys Rehabil Med. 2005;17(3):195-215. 2Gillespie A, Best C, O’Neill B. Cognitive function and assistive technology for cognition: a systematic review. J Int Neuropsychol Soc. 2012;18(1):1-19. Original article: Tousley A, Kegel-Gleason KB. Induced Pluripotent Stem Cells in Huntington’s Disease Research: Progress and Opportunity. J Huntingtons Dis. 2016 Jun 28;5(2):99-131. doi: 10.3233/JHD-160199. Although many cell types are affected in HD, the impact of the disease on CNS neurons is remarkable. Neurons of the cortex and striatum degenerate and eventually die, causing the majority of HD symptoms. Until recently, it has been difficult to study human CNS neurons because of ethical considerations – it is not ethical to perform a biopsy on human patients to obtain brain cells for research. Embryonic stem cells (ESCs) are pluripotent, meaning that they have the ability to become neurons; however, the use of ESCs to obtain neurons is also fraught with ethical challenges, including the destruction of an embryo. Enter induced pluripotent stem cells (iPSCs). Skin or blood cells from controls and HD patients can be made into iPSCs by the introduction of just a few factors. iPSCs are very similar to ESCs and can be differentiated to resemble CNS neurons or other CNS cell types in order to study disease mechanisms, and to screen compounds that might be developed into new therapies. A major advantage to iPSCs is that normal and mutant proteins are expressed at endogenous levels just as they are in the human patient; furthermore, the effects of varied genetic backgrounds on the behavior of the mutant protein can be assessed. Studies with iPSCs from patients with neurodegenerative diseases other than HD have provided new insights previously not found using animal models. For instance, using three-dimensional cultures of CNS neurons from iPSCs from human Alzheimer disease (AD) patients, intracellular tangles, which are major feature of AD, were observed.1 Intracellular tangles had never been recapitulated in mouse models of AD, and the results pointed to a particular protein only found in humans as a major target of pathology. As with research in other neurodegenerative diseases, iPSCs from controls and HD patients have been in development to uncover previously unknown human-specific pathological mechanisms, to validate phenotypes identified in animal models, and for compound screening. In our review,2 we characterize the state of the HD iPSC field. We describe the current inventory of cells available to HD researchers, many of which cells are freely available. We also highlight changes that have been identified in HD cells compared to controls, in pathways, individual gene changes, functional phenotypes, and the role of stress and aging. Furthermore, we compare results obtained with various neuronal differentiation protocols. For more from the Journal of Huntington’s Disease, find them on Facebook. We also note the pervasive use of stress to unveil functional phenotypes in HD cells. Because stress exacerbates HD symptoms in patients, this may reflect important disease mechanisms. One argument in favor of this approach is that iPSC induced neurons are very immature compared to those in the brain of an adult with HD, so stress might mimic aging to enhance a phenotype. However, more time spent investigating what may be more subtle phenotypes in the absence of stress may lead to a better understanding of underlying pathology that leaves a cell vulnerable to stress and eventually triggers disease. Although much progress has been made, culturing and differentiating iPSCs is still extremely expensive, time consuming and difficult, thus limiting the number of investigators who can take advantage of this valuable resource. We hope this review will enable those new to the iPSC field to consider and control the inherent problems with iPSC lines, and so enable reproducible research across the field. One major limitation we found for interpreting data across the HD field is the relative paucity of cell lines used – many times, reports include data from just one cell line. In order to increase the reproducibility of research across the field, we suggest that results from at least three HD cell lines from three individual patients and three cell lines from three individual controls be used for robust phenotypes (six lines total). For more subtle phenotypes it may be necessary to use many more cell lines. For comparison, 10–12 control cell lines are currently being used by investigators in other fields.3 Alternatively, a combination of control cell lines (cell lines from unaffected individuals), and genetically corrected cell lines (using homologous recombination or CRISPR), and use of effective mHTT-lowering reagents such as siRNAs, miRNAs or zinc finger proteins in HD lines could be used. We note that data from genetically corrected cell lines should be interpreted with caution because the cell lines undergo several rounds of selective pressure during their generation that could alter a particular phenotype. Our review of the field identifies areas of opportunity for which additional research would be of great value. For instance, very few studies used other brain cell types that can be differentiated from iPSCs such as astrocytes and oligodendrocytes, which may also impact HD pathology. The field should welcome more studies using iPSC-derived glial cells. 1. Choi SH, Kim YH, Hebisch M, et al. A three-dimensional human neural cell culture model of Alzheimer’s disease. Nature. 2014;515(7526):274-278. 2. Tousley A, Kegel-Gleason KB. Induced Pluripotent Stem Cells in Huntington’s Disease Research: Progress and Opportunity. J Huntington’s dis. 2016;5(2):99-131. 3. Boulting GL, Kiskinis E, Croft GF, et al. A functionally characterized test set of human induced pluripotent stem cells. Nat Biotechnol. 2011;29(3):279-286. 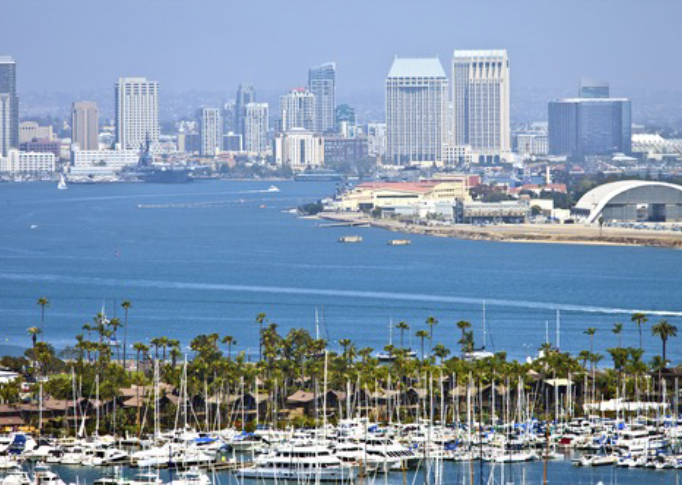 The 2015 International Congress of Parkinson’s Disease and Movement Disorders took place on June 14−18 in San Diego, California. Despite some less-than-sunny weather, the congress offered some bright glimpses into the next decade of HD research and therapeutic development. In their video session “What if it’s not Huntington’s disease?” Drs. Anne-Catherine Bachoud-Lévi and Joaquim Ferreira guided attendees through an impressive series of video clips demonstrating common and uncommon presentations of HD, as well as other movement disorders often confused with HD. The presenters emphasized the importance of distinguishing generalized chorea from other movements, along with the necessity of recognizing less common presentations of HD. As a reminder that clinicians may see movement disorders where there are none, the presenters also threw in a video of a normal patient, asking the audience first to identify her diagnosis and the “abnormalities” observable in her facial movements. This fast-paced but enjoyable session reinforced the necessity of not jumping too quickly to a diagnosis for the practicing movement disorders clinician. The “What’s new in Huntington’s disease?” session covered the most recent developments in HD biomarkers, basic science, and clinical research. Dr. Ralf Reilmann discussed the current array of biomarkers in pre-manifest and manifest HD and whether these are ready for use in clinical trials. Dr. Michael Levine followed with a discussion of the latest findings in laboratory and animal-model research and their influence on the development of novel therapies. The session concluded with an update from Dr. Cristina Sampaio of CHDI on the latest in disease-modifying and symptomatic treatments currently in development. The HD-themed Guided Poster Tour highlighted some particularly compelling posters on HD clinical and basic science, as well as the continuing exploration of biomarkers, imaging changes, and their clinical correlates. Poster presenters ranged from well-known clinicians and investigators to PhD candidates, and hailed from Australia, Europe, and North America. Dr. Sam Frank presented the results of the First-HD study, emphasizing in particular the participant reports of improved global impression throughout the trial (see HD Insights, Vol. 10). Also presenting on clinical trials, Dr. Bernhard Landwehrmeyer discussed a recent analysis of data from MermaiHD and HART suggesting that there was no significant increase in adverse events in participants taking anti-depressants or anti-psychotics and pridopidine. Two posters described novel objective measures of HD symptoms, including a shoe-worn inertial sensor tested at Oregon Health and Sciences University, and the use of a Wii balance board to assess HD progression evaluated at UC San Diego. In addition, Dr. Ashwini Rao described his lab’s work evaluating gait modulation as a marker of HD progression. Two Australian researchers each described novel physiological measures of HD − Ms. Lauren Turner presented her discovery of abnormal electrophysiological responses in pre-manifest HD patients, and suggested that these may represent compensation, while Dr. Fiona Wilkes presented a compelling new analysis of IMAGE-HD imaging data showing callosal thinning with HD disease progression. 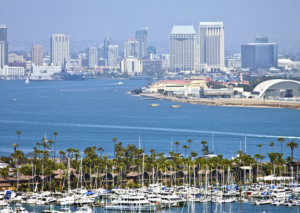 The 19th MDS Congress provided many opportunities for HD experts and those new to the field to learn about the latest in clinical and scientific understanding of the disease and its treatment. Abstracts from the meeting can be accessed at www.mdsabstracts.com.